Privacy Protector for Windows 10 işletim sistemi gizlilik sorunlarıyla ilgilenmektedir. Limitsiz kişisel lisansınızı (destek ve güncellemeler dahil) %70 indirim ile satın alın! After going through the hoops, and entering my registration code, I'm getting the message:- Privacy Protector for Windows 10 has been deactivated! 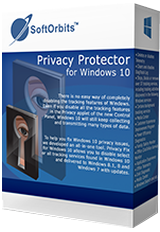 For more time Get an extended free trial license now and test Privacy Protector for Windows for another 10 days. When I press the "Register" key again, I get a pop up "Error connecting activation server ! After going through the hoops, and entering my registration code, I'm getting the message:- Privacy Protector for Windows 10 has been deactivated! 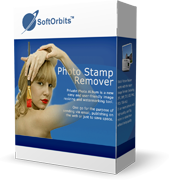 For more time Get an extended free trial license now and test Privacy Protector for Windows for another 10 days. When I press the "Register" key again, I get a pop up "Error connecting activation server ! Prog after starting the installation program immediately wants to connect to a server, alas the server seems unreachable even after I disabled the Firewall. Too much trouble, too many hoops to jump through. Confused. It says that the program is 40 bucks, but free for users today. Then you read to the bottom, and it offers a unlimited personal license for 70% off. Worse, there are plenty of people having trouble getting the code, and some get theirs, but the software is expired. Once again, people having trouble understanding the meaning of FREE. No thanks, I will pass, no input from me, other than honor the concept of "give away". Confused. It says that the program is 40 bucks, but free for users today. Then you read to the bottom, and it offers a unlimited personal license for 70% off. Worse, there are plenty of people having trouble getting the code, and some get theirs, but the software is expired. Once again, people having trouble understanding the meaning of FREE. No thanks, I will pass, no input from me, other than honor the concept of "give away". Soft Orbits is in my notes as a company who invalidates previous "lifetime" licenses you bought after a short amount of time or when you install another one of their products. For that reason I haven't downloaded/installing anything by Soft Orbits for ages. Do they still follow this practice or have they changed it? Until I hear they've changed it, I see no point spending the time to install something when it will revert to a trial version after a short time. Soft Orbits is in my notes as a company who invalidates previous "lifetime" licenses you bought after a short amount of time or when you install another one of their products. 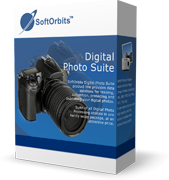 For that reason I haven't downloaded/installing anything by Soft Orbits for ages. Do they still follow this practice or have they changed it? Until I hear they've changed it, I see no point spending the time to install something when it will revert to a trial version after a short time. I am still waiting for the registration email an hour after submitting the request. And before anyone says the obvious it is not in the spam folder.